A weighted vest is a vest designed to carry varying amounts of weight with built-in pockets on the chest, back, and torso. You can add and remove weight depending on your preferred fitness level. To some people who think that buying this supplementary tool is a waste of money, here are some of the benefits of using a weighted vest for running. Carrying additional weight during exercise needs more energy and strength. This can drain all your stored energy. In any kind of exercise the more weight used, the more muscles you need to adapt – this will help build the strength and muscle endurance. A weighted vest is a helpful tool for variations. It can help you improve your workouts. This new exercise method enables you to throw your systems off whenever needed. After completing the study, the participants who focused on strength have improved their ability to use oxygen as they exercise. They were able to run a long distance without getting tired right away. Also, their skill in using twitch muscle fibers fast has changed a lot. An individual that weighs 125lb and runs at 6mph can burn 300 calories in 30 minutes. A person that weighs 155lb running at the same speed, time, and distance will burn 375 calories. The rationale for this is that the bigger the body, the more calories will be burned when you run. So if the 125lb individual wants to burn more calories, he can simply put on the weighted vest and add more weight to it. Just remember never wear a vest that is more than 10% of your body weight. For instance, if you weigh 160 pounds, do not wear a vest that is more than 16 pounds. A weighted vest used for training and running was designed differently. You need a looser version of weighted vest if you will use it for resistance and bodyweight training. This will give you more freedom to move. For running, you need a snug fit vest. If you use a loose vest it will move up, across and down as you sprint or jog. A loose vest used in running may cause pain and discomfort. Choose a weighted vest that you can adjust so you can increase or decrease the weight based on your fitness level and goals. When running, make sure that the weight is evenly distributed, if not it will affect your performance negatively. Consider also the weight increments. Some weighted vests let you increase the weight by 0.5 lbs while others allow you a 2+ pounds rise. Although 2 lbs. might not sound that much, it can still affect your performance if you are trying to run 3 miles. The price may vary depending on where you purchase it. I suggest that you check different distributors first before buying. Keep in mind that an expensive vest may not be the best for your needs. 15 x 12 x 2 inches- One size fits most. The Cross101 Weighted Vest is a good product to use if you want to add resistance to your workout. The vest looks really good that girls might find you very attractive on it. 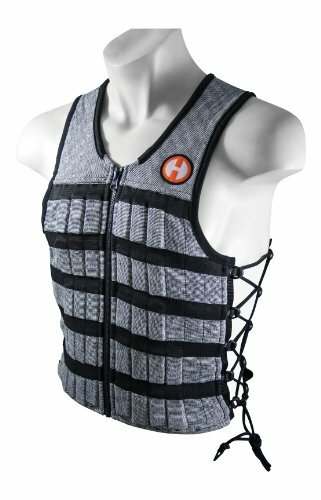 This vest is not just for running, you can also use it during your cross and strength training. This product has a short design that measures 15 inches in length from your collarbone down and 13 inches in width. The size of the vest is enough so you can move freely as you run and do your other functional training. Your weight is distributed evenly across the back and front of the vest. Thus it is very comfortable. It does not strap as tight as others which resulted to rub spots due to vest movement. The ZFOsports is designed to fit and stay tight to your body even under the most rigorous workouts. This is designed for both men and women and is ideal for first-time users who want to have a reliable vest at a reasonable price. It fits your body well and allows you to move and breathe easily as you do your workout. If you want to adjust the weight, you can do so by removing or adding weighted bags until you achieve your desired weight. The product is fastened tight to the torso. A custom fit weighted vest eliminates weight shifting as you do your workouts. The vest adds resistance to training routine without affecting biomechanics. The product is made of high-quality materials that last through your longest runs. The manufacturer has created a very sleek and versatile weighted vest made of high-quality material. The Hyperwear vest is based on a patented design using patented fabric. The stretch fabric wicks sweat well, which is perfect for runners. Hyperwear’s unisex design has side lacing for highly adjustable fit, thus it fits everybody. The product has a thin profile for full range of motion. You will be able to burn a good amount of calories. Hyperwear is a simple, powerful gear. Buying additional weights can cost you a lot. It only includes 10 pounds of weight. 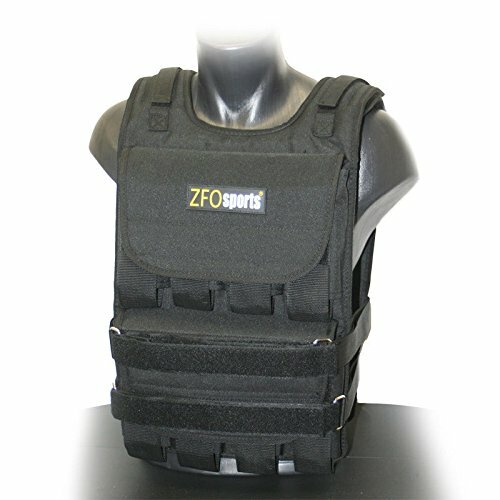 If you are in search for a heavier weighted vest, ZFOsports is a good vest to consider. It includes 60 pounds adjustable weights. Inside the vest, you will find 40 pounds of weights. You can remove the weights if you want to. 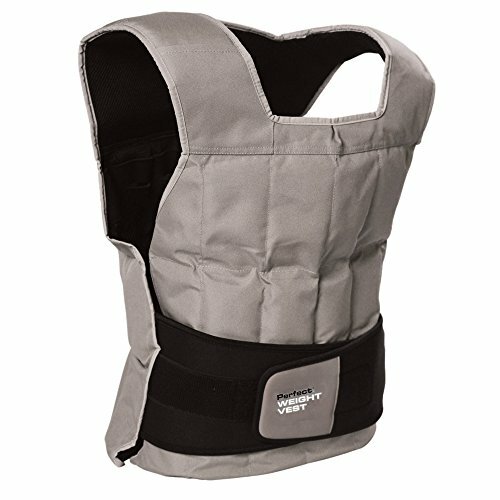 This weighted vest is also adjustable in 2.5-pound increments. ZFOsports features a unisex design and is available in one standard size designed that will fit all. It will fit the user perfectly, which prevent the vest from moving around as you do your workouts. You can use it in running and during your workouts. This is a great way to improve your resistance on your workout. The vest can help increase your speed and strength. It can accelerate weight loss and improve respiration. 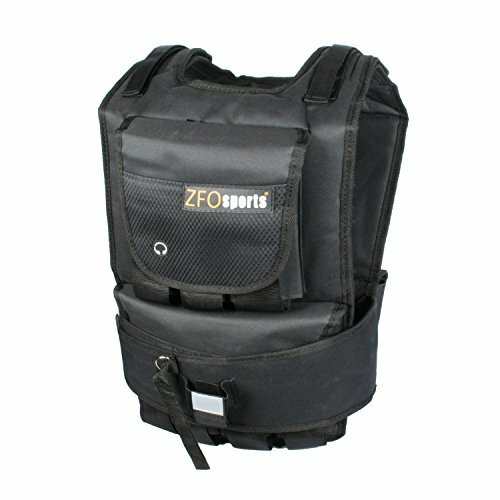 You can achieve your goals fast and you can even double the results with ZFOsports weighted vest. Instructions in assembling the vest is not clear. The Perfect Fitness vest can hold up to 20 lbs in 1-pound increments. It has a slender design but it will not affect your mobility. The vest includes a breathable shell for comfort as you do your workouts any time of the year. It is available in highly reflective material that will keep you safe on the roads. 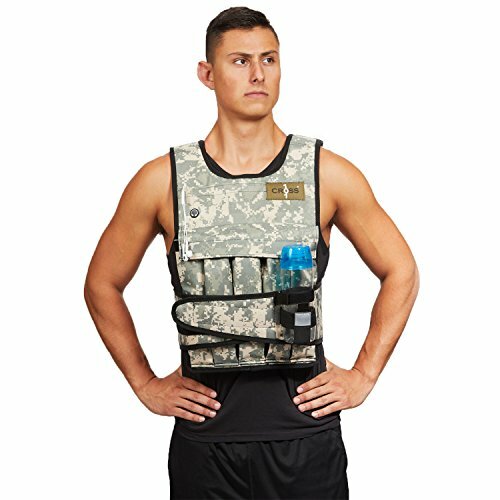 This weighted vest has a contoured pocket so you can place your MP3 player or phone on it. The dual band enclosure gives the vest a personalized fit. It also has a padded shoulder for better comfort. If you want a heavier Perfect Fitness, you can choose the one with 40-pound weight. It does not matter which among the 5 best-weighted vests for running you choose. They are all rated well because they are made of good quality materials. I am sure that you will be satisfied with what it can add to your training. I own two of the above-mentioned products, the ZFOsports (60lbs), and Cros101. These two weighted vests help me improved my overall strength and I love them. The only difference between the two is the weight included and the price. But when it comes to durability and versatility, they are the same. Definitely, these weighted vests will take your workouts and your overall strength to the next level. You will feel the benefits of using these vests and everybody will see it. If you find this post helpful, you can leave your comments below.